"Persistence" examines notions of communion, control, and will itself. 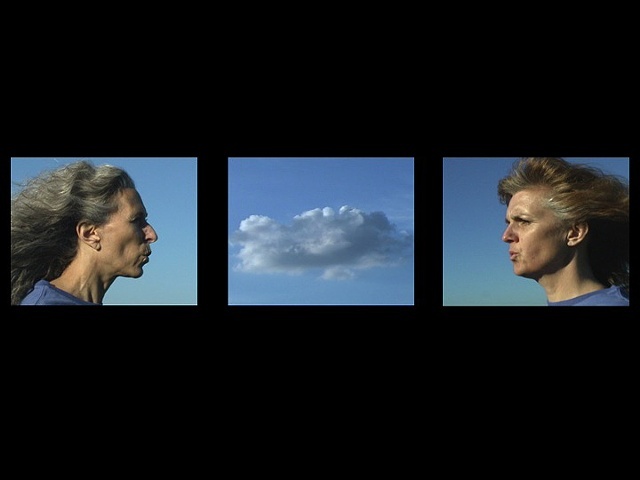 Within this video triptych the outer panels show two women facing inward, each unaware of the other, and each driven by the desire to move a cloud, which floats on the central panel between them. The cloud finds itself somewhere suspended in a state of flux as it moves back and forth between the figures. The two women generate an audio that sounds similar to the wind, which permeates the installation environment.